Our captains are waiting to hear from you. Please use our online inquiry form below to request availability. BOOK EARLY! 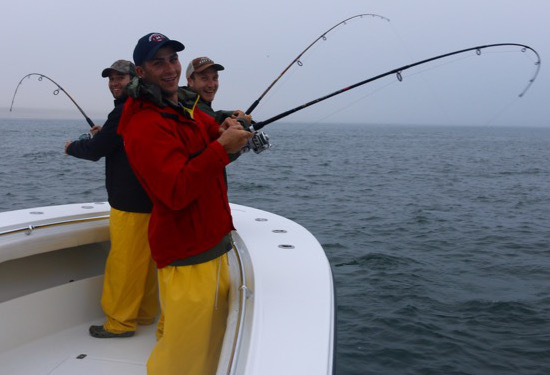 Please note that our striped bass fishing trips in June and August book quickly, so it is best to call at least two weeks in advance to reserve your fishing charter. Also our tuna fishing trips in September will book up several months in advance, so for these trips you will want to plan at least a few months ahead. We do get last minute cancellations, so if it is already close to your date - still give us a call! © 2019 Reel Deal Fishing Charters, All rights reserved.